You must be a member of the Vienna Champagne Group to attend this activity. Would you like to join this group? 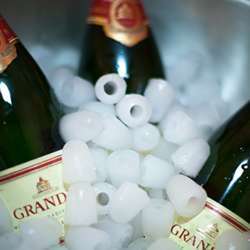 Everyone knows that champagne is a sparkling bubbly that everyone drinks on New Year's Eve. It is more than that! It is also a region in France and it's one hour and a half northeast of Paris! I stress the northern part of France as this affects the taste of the wines. The grapes are picked with higher acidity than in most other regions which is one of the reasons that Champagne has it distinct taste! The Pol Roger Representativehad to cancel at the last moment. Therefore the Deutz Company will be available that evening. Apologies of the last minute notice.